Can I Take My Grandchildren Who Live With Me as a Deduction? 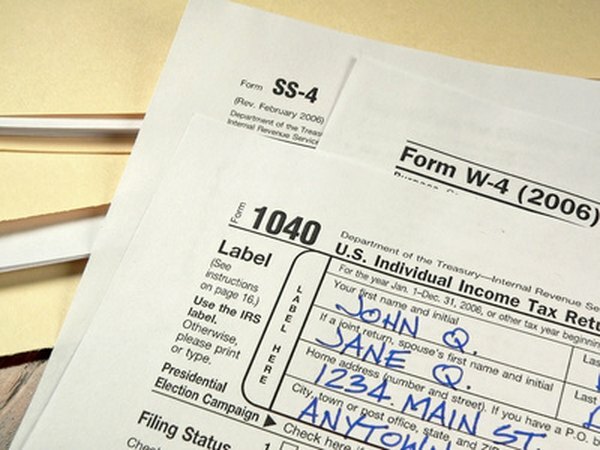 You must use Form 1040 or Form 1040A to claim dependents. 1. Can a Grandparent Claim a Grandchild on Taxes Even if the Child Just Married? Claiming dependents on your tax return reduces your taxable income for the year, helping to increase your tax refund or at least decrease what you owe. Grandchildren meet the relationship test for claiming them as a dependent, but there are several other tests that must be met before you can successfully write them off. Your grandchildren must live with you for at least half the year in order for you to claim them as your dependents. You can also include temporary absences such as for illness, education, business, military service or vacation. For example, if your grandchild lives on campus at a boarding school, you can count that as time lived with you. However, if the grandchild generally lives with his parents, you can't claim the grandchild. To claim your grandchildren as your dependent child, the grandchildren must be under age 19 as of the end of the year. However, if the grandchild is a full-time student, the age limit increases to under 24 at the end of the year. In addition, if the grandchild is permanently disabled, there is no age limit on claiming him. To claim your grandchildren, they cannot provide more than half of their own support. Support include costs such as housing, medical expenses, food, education and clothing. For example, if your grandchild provides 10 percent of his own support, his parents provide 45 percent and you provide 45 percent, you meet the support test. However, if the grandchild provides 51 percent of her own support and you provide 49 percent, you can't claim her. Generally, you can't claim your grandchild as a dependent if the grandchild filed a joint return with the grandchild's spouse. However, there is an exception: if the joint return is filed only to get a refund. For example, if your grandchild is married and the grandchild owes no taxes, but had some withheld from her paycheck, if she files a joint return with her spouse just to get that money refunded, you can still claim her.